So the festive season is well and truly upon us and I love it. Christmas is probably my favourite time of year and I just love it when all the lights and decorations begin to go up in the shop windows and on the street. 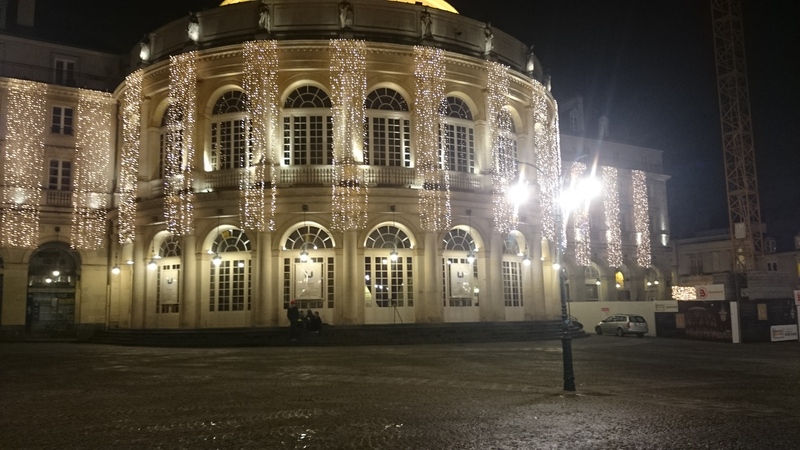 It’s just puts me in such a happy and festive mood as I walk through town seeing lights everywhere and decorations hung in the windows, I mean you can’t but smile at things like that. 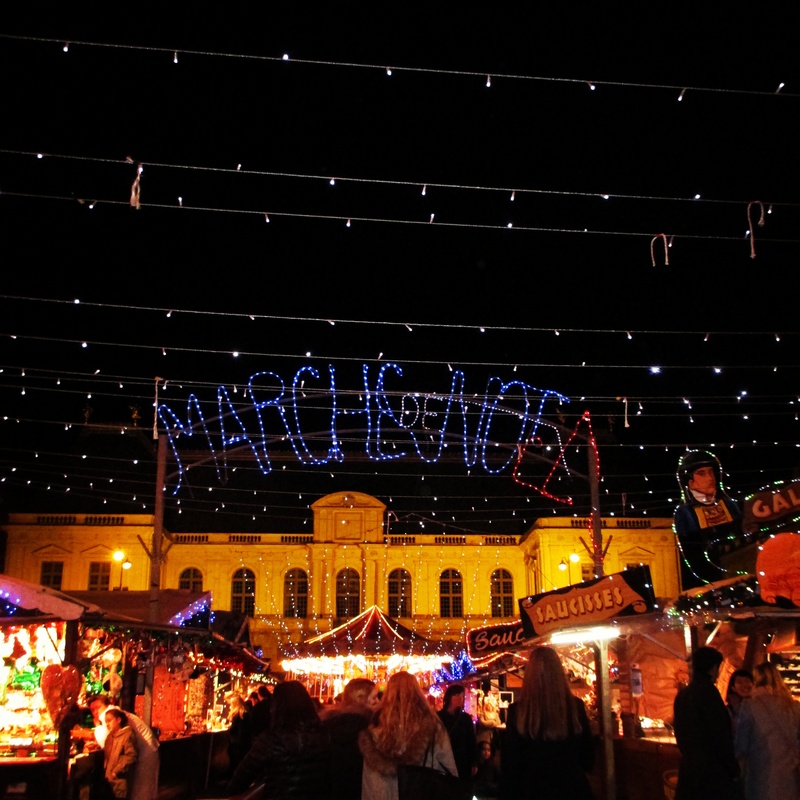 Another thing that really gets me in the mood are Christmas markets with mulled wine and roasted chestnuts. We went to the markets her in Rennes and they were just gorgeous. There was around twenty wooden chalets in the square in front of the parliament and a little carousel in the middle but unfortunately it was only for children so I wasn’t allowed on it. The flashing lights and Christmas music combined with the smell of food was just a feast for the senses. 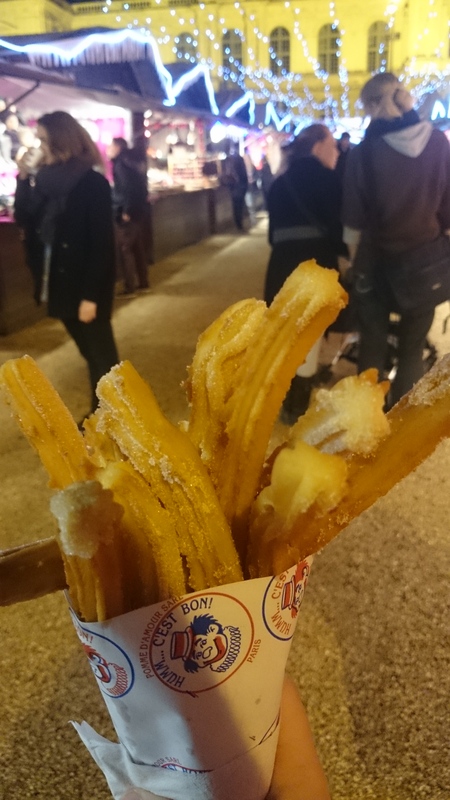 There were food stalls selling pasta, sausages , galettes and many more, but my personal favourite were the churros or chi-chi’c as they are sometimes called in France. These are kind of like doughnuts but they are in long fingers and covered in powdery sugar goodness. They are delicious and prefect food for walking around on a cold winters night. The market was amazing with Christmas trees for sale out front and Santa Clause even made an appearance with his sleigh, unfortunately the reindeer couldn’t stay for long and were back at the North Pole. 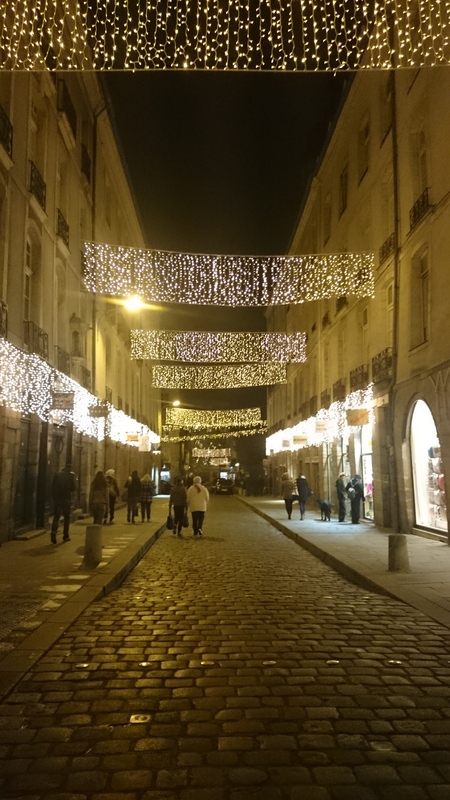 It is really is amazing how towns can turn into such magical places at Christmas with lights strung from every building illuminating them in the darkness. Everyone just seems to be in a happier mood when Christmas time comes around. It’s time for me to get the Christmas jumper on and turn the Christmas songs up to full volume.